Baltimore, MD (May 18, 2016) – The 2016 Under Armour® All-America Baseball Game, powered by Baseball Factory, will bring together the top 40 high school players in the country to play at the iconic Wrigley Field on Saturday, July 23. 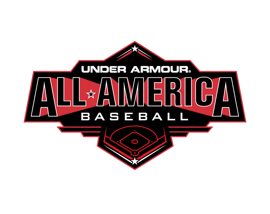 Today, Under Armour and Baseball Factory are enthused to announce the next wave of players chosen to compete in the 2016 All-America game. Under Armour All-Americans are selected by a committee of Baseball Factory scouts and will compete in an American vs. National game. The All-America Baseball Game caps off a four-day, all-encompassing baseball experience staffed by some of the game’s very best players and coaches, including by a formal workout in front of Major League Baseball (MLB) scouts and a homerun derby. Since the game’s inception in 2008, 221 of the 246 draft eligible players from the Under Armour All-America Game were selected in the MLB Amateur Draft including 60 first round picks. Top players from the 2015 draft include: Brendan Rodgers (2015 No. 3 Overall Pick, Colorado Rockies); Kyle Tucker (2015 No. 5 Overall Pick, Houston Astros); Josh Naylor (2015 No. 12 Overall Pick, Miami Marlins); Brady Aiken (2015 No. 17 Overall Pick, Cleveland Indians, 2014 No. 1 Overall Pick); Ashe Russell (2015 No. 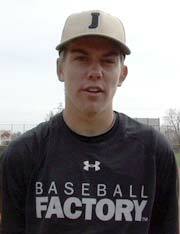 21 Overall Pick, Kansas City Royals); Beau Burrows (2015 No. 22 Overall Pick, Detroit Tigers).